Autobiography Edits is a compact and stripped back version of Autobiography, performed by dancers from Wayne McGregor with a live score by Jlin on stage. 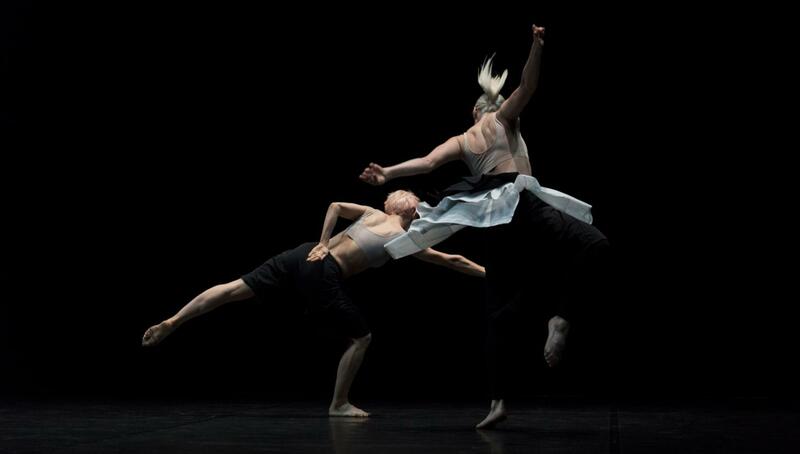 Performed without a set, Autobiography Edits underlines Unsound's role in bringing Jlin and Wayne McGregor together. In 2018, McGregor and Jlin were awarded the biennial Gross Family Prize for their collaboration on Autobiography, an award which celebrates a choreographer and composer's 'risk-taking, vision, originality and technical mastery'. 'NO TWO MOVES THE SAME; CHOREOGRAPHER, DANCERS AND MUSICIAN ALIKE ASSERTING THEMSELVES IN DIFFERENT GESTICULATIONS. Hailed by Rolling Stone as 'America’s most acclaimed new electronic composer', Jlin created the music for Autobiography in collaboration with McGregor, the first time she has scored for dance. Now released as an album to critical acclaim, 'Autobiography' 'confirms Jlin's status as a visionary artist' (All Music). The album, released through Planet Mu, is now available to buy on CD, vinyl and digital platforms including Apple Music. 'The Abyss of Doubt' music video of the first track released from 'Autobiography' features the dancers from Company Wayne McGregor performing during the premiere run of Autobiography at Sadler's Wells, London. Vogue Polska produced a short video on Unsound Krakow 2018 at which Autobiography Edits was called 'the crowning moment of the festival'. The Abyss of Doubt', taken from “Jlin - Autobiography (Music from Wayne McGregor’s Autobiography)" released by Planet Mu. Music composed by Jerrilynn Patton, published by copyright control. Video directed by Ben Cullen Williams. Edited by Ben Cullen Williams on behalf of Studio Wayne McGregor. Choreography by Wayne McGregor. Performed by Company Wayne McGregor. Filmed by Ravi Deepres and Luke Unsworth. Lighting Design by Lucy Carter. Projection Design by Ben Cullen Williams. Costume Design by Aitor Throup.